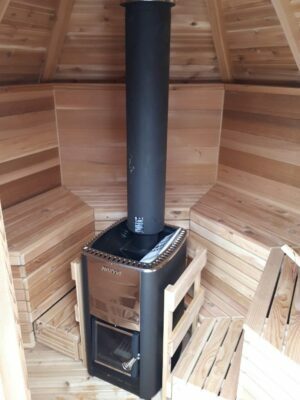 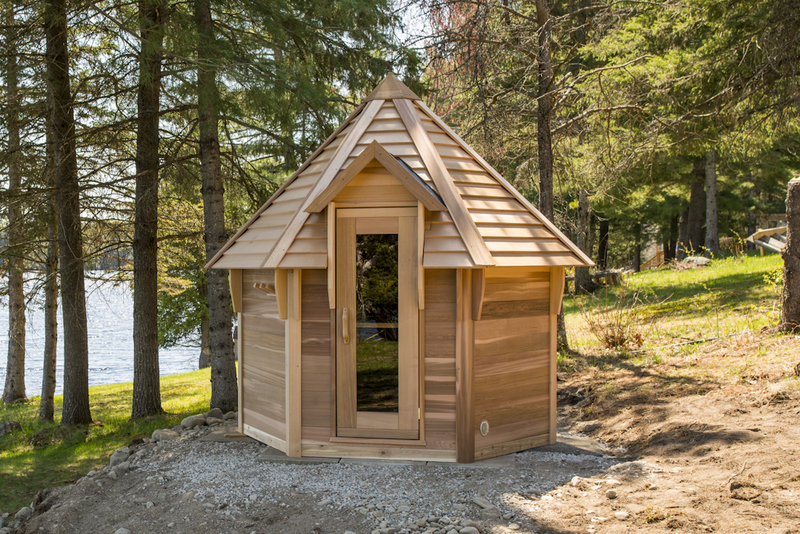 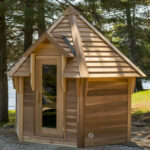 This wonderful Kota Outdoor Cedar Sauna is perfect for any home, cottage or cabin. 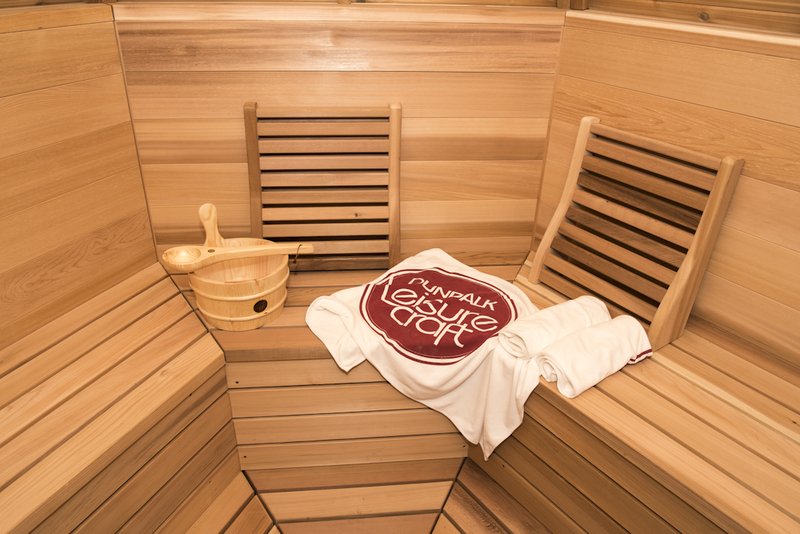 The beautiful Red Clear Cedar not only gives it a stunning appeal but has the terrific aroma that we all love. 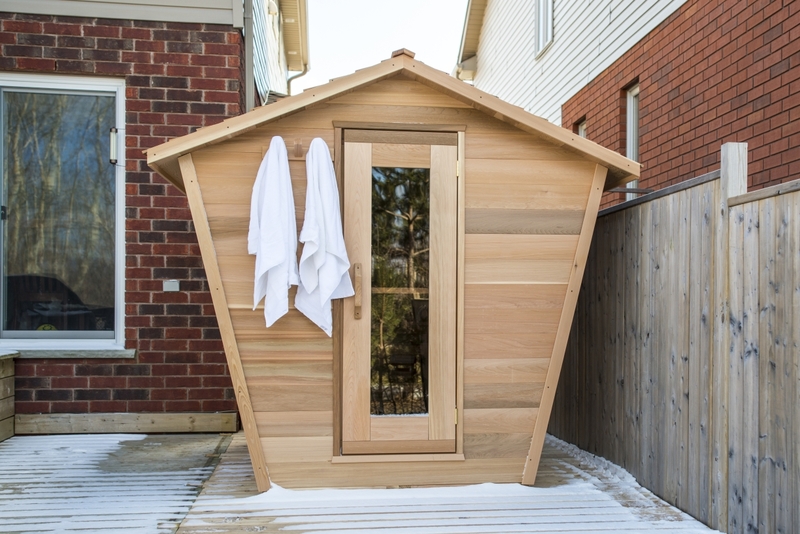 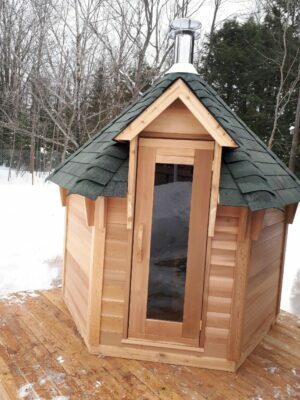 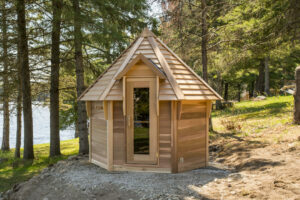 You will enjoy many hours of use in this Canadian made sauna. 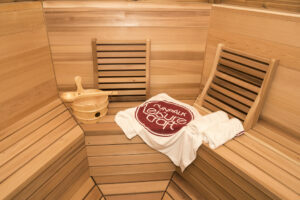 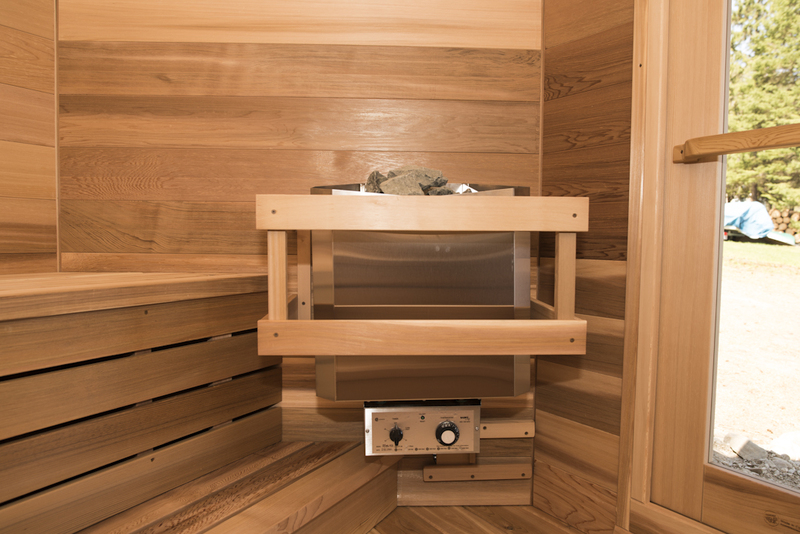 It has easy to access high benches that are made for sitting down during the sauna, optional wood burning or electric heaters quickly heat the sauna in under 30 minutes. 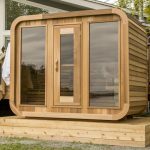 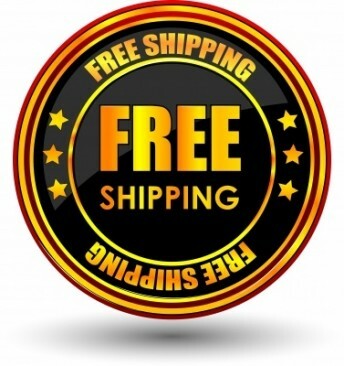 Available in 2 convenient sizes and shipped to your door in easy to assembly kits with quality assembly instructions and all required hardware included. 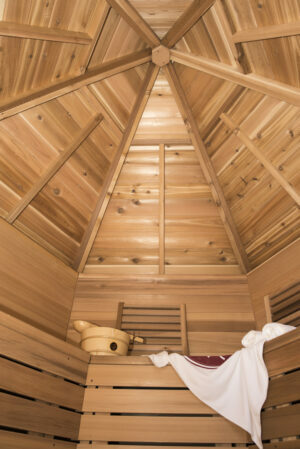 Base is made of Knotty Cedar Floor joists and flooring. 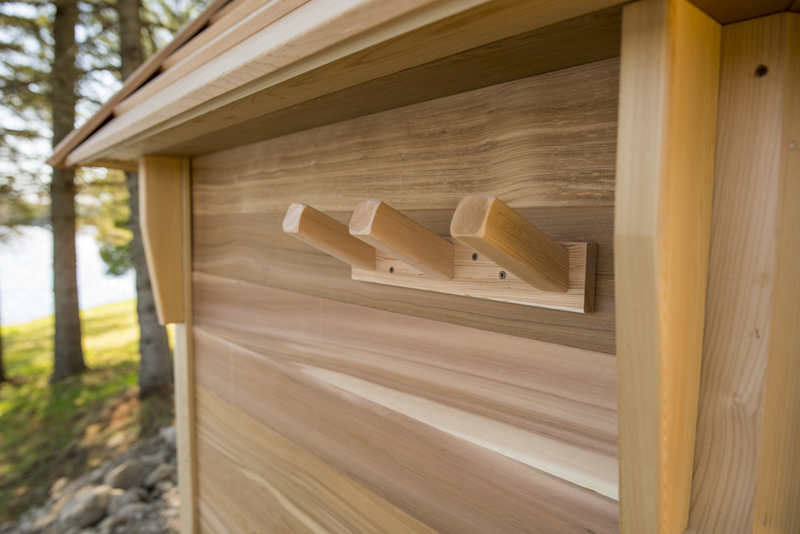 Red Clear Western Red Cedar Walls and Benches.